Hibs’ swift and impressive elevation up the Scottish Premiership table under Paul Heckingbottom continued as goals from Paul Hanlon and Stevie Mallan in the last 20 minutes helped them to a hard-fought 2-1 win away to Livingston. The victory – the Yorkshireman’s fifth in six league matches in charge – took the Easter Road side ahead of Hearts for the first time this season, leaving the jubilant travelling support bounding out of the Tony Macaroni Arena chanting “mind the gap” towards their city rivals. 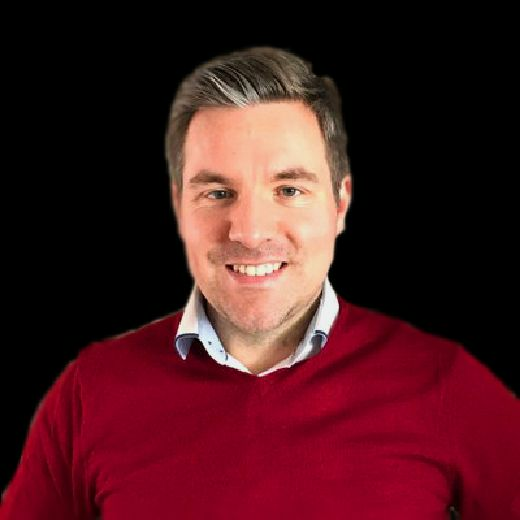 Heckingbottom has now hoisted Hibs from eighth place to fifth in less than two months at the helm and the mood has changed significantly for the better since the bleak winter when the beleaguered Edinburgh side looked on course to finish in the bottom six. With consistency of team selection having been a theme throughout the fruitful start to his Hibs reign, the sense of continuity was maintained by Heckingbottom as he made only one change for the trip to West Lothian. Darren McGregor returned to the centre of defence after missing the 2-0 victory over Motherwell a fortnight ago through suspension, allowing Mark Milligan to revert to his more familiar role as the anchorman in Hibs’ midfield. Vykintas Slivka dropped to the bench to accommodate the return of veteran centre-back McGregor. Despite the change to the line-up, Hibs were again deployed in the 4-5-1 formation that served them so well in their last match and also in the second half of the previous game against Rangers, with Florian Kamberi wide on the left and Marc McNulty, back at his old stomping ground, through the middle on his own. The visitors, who lost 2-1 on their previous visit to West Lothian seven months ago, started brightly and almost went ahead after just two minutes when Stevie Mallan burst on to a lay-off from McNulty and saw a powerful strike from the edge of the box tipped over the bar by Liam Kelly. At the other end, Livingston should have taken the lead in the eighth minute when Craig Sibbald received possession in the Hibs box and stepped inside David Gray to get a clear sight of goal, but the former Falkirk midfielder fired his angled shot beyond Ofir Marciano’s far post from ten yards out. 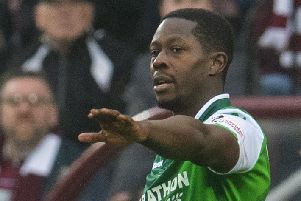 Despite this let-off, Hibs were generally the more purposeful side in the early stages and Kamberi found himself with a promising opening in the 15th minute following a clever build-up involving Lewis Stevenson, Mallan and McNulty, but the Swiss attacker fired an angled shot high and wide from 12 yards out. Thereafter the two sides largely cancelled each other out for the remainder of the first half, with the only further notable effort on goal being a strike from Livingston midfielder Steven Lawson which curled harmlessly over Marciano’s crossbar from outside the box in the 36th minute. After a similarly nondescript opening to the second half in which both teams continued to be nullified, Hibs spurned a golden opportunity to break the deadlock on the counter-attack in the 65th minute. McNulty did well to win possession for Hibs on the halfway line and instantly sent Omeonga scampering into the Livi half. The on-loan Genoa midfielder had Kamberi sprinting clear to his left but he put too much weight on his pass and the ball ran away from the Swiss. Two minutes later, Mallan fired a swerving 25-yard strike just wide of the far post, briefly rousing the travelling support. With Hibs generally struggling for inspiration, Heckingbottom opted to take off Omeonga and Daryl Horgan in the 68th minute. They were replaced by Slivka and Fraser Murray. It would prove to be an inspired substitution as both replacements were involved in the move which lead to Hibs winning a corner and subsequently taking the lead in the 71st minute. Mallan’s delivery was flicked on by David Gray and when the captain’s header broke off McNulty, Hanlon was there to smash home from six yards out. Livingston almost hit back soon afterwards when former Hearts player Scott Robinson fired a half-volley just wide of Marciano’s left-hand post. But Hibs doubled their lead in the 75th minute through a magnificent solo goal from Mallan, who took the ball down just inside the box, skipped effortlessly from his man and slotted beautifully beyond Kelly from a tight angle before racing gleefully towards the jubilant away support. Marciano was called into action two minutes later to tip over a header from Sibbald before substitute Ryan Hardie curled a brilliant strike just wide in the 87th minute. Just as Hibs looked set to see out victory in smooth fashion, Livingston were given a glimmer of hope when Hardie pulled one back in stoppage time with a penalty after Lawson had been tripped by Stevenson. The visitors had to endure a few nervy minutes but ultimately held out to continue their impressive surge up the Premiership table. Livingston: Kelly, Odofin (Byrne 73), Gallagher, Lithgow, Brown (Lamie 68), Lawson, Jacobs, Erskine (Hardie 68), Pittman, Sibbald, Robinson. Unused subs: Lawless, Stewart, De Vita, Wylde. Hibs: Marciano, Gray, McGregor, Hanlon, Stevenson, Milligan, Omeonga (Slivka 68), Mallan, Horgan (F Murray 68), McNulty (Shaw 90), Kamberi. Unused subs: Dabrowski, Bartley, Mackie, Allan.